"Torn between duty and survival, nothing can be the same. But as the Fae Prince begins to close in on Ivy, intent on permanently opening the gates to the Otherworld, Ivy is running out of options. If she doesn’t figure out who she can trust—and fast—it’s not only her heart that will be torn apart, but civilization itself." Look, I love basically all JLA books, so I shouldn’t be surprised but I truly adored Torn, even more so than Wicked. It’s been a while since I have been so invested in a book. I’ve been in a big reading slump, but I devoured Torn in a way I haven’t devoured a book in about two/three months and the feeling was wonderful. I love all things JLA, but Torn ranks up real high on the JLA favorites list. I absolutely adore Ivy. She is so so strong and I admire that strength so much. She doesn’t give up and she is willing to make sacrifices for those she loves. I love how kickass she is and that she refuses to go down without a fight. I also love her sass. She doesn’t always think before speaking and I love it. Poor Ivy is put through the wringer in this one, but she is tough as nails. Then we have Ren and Ren is basically the best. Ren has a lot of competition since JLA is the queen of book boyfriends, but he holds up well. Ren is such a great mix of alpha and beta hero. He is protective of Ivy and wants her safe and is obviously a badass, but he also knows she can handle herself and doesn’t hold her back. He lets her do her thing and helps when she needs it. It’s awesome and I love their dynamic. I would be remiss if I didn’t take the time to talk about Tink because Tink is THE BEST. He never failed to crack me up. He is so funny and he steals every scene he is in. Tink is easily my favorite of all her secondary characters and it hurts me to betray Deacon this way, but I love Tink and I relate to him (don’t judge). While we are talking about secondary characters, I gotta talk about our newest character Dixon cause love. Basically this book has a great cast of supporting characters. Torn has such a great balance of romance and action. Of course I adore the romance between Ivy and Ren and I loved the steamy scenes, but I also loved everything else the story delivered. The plot was awesome and non-stop and the action was fantastic. This whole world and concept is awesome and I love this take on fae. I love how the world expanded in this one and the twists delivered. 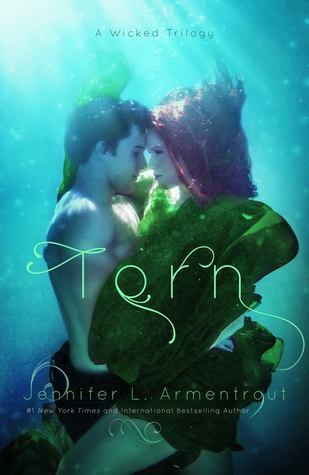 Torn was a great read from beginning to end and I simply devoured it. Waiting for the next book is going to be torture. That's so awesome how much you loved this one. I really do believe she does best with her PNR books. She kills it with the romance, but something about a PNR that she writes always gets me. This one is a step up even for a JLA book. Great review. Of course, you know I love it. Great review! I felt the same way about this book! I have been in such a slump for months, but I read Torn in two days. It was so good and took this series to a new level. The plot was definitely non stop. I adore Tink too, he is hilarious! <3 I can't wait for the next book!